as some moorings have size restrictions we are required to exercise our design ingenuity to give our clients the light filled rooms and outdoor connection they want. Houseboat 1 is a split level two bedroom floating home that was one of Eco Floating Homes early commissions,this project sought to provide a floating home on a restricted mooring by exploiting the full volume within the hull.The floating home contains two bedrooms, a bathroom and utility room in the hull. The upper level is an open plan kitchen and living area with a generous waterside platform, also the roof top can be used as outdoor space if desired. 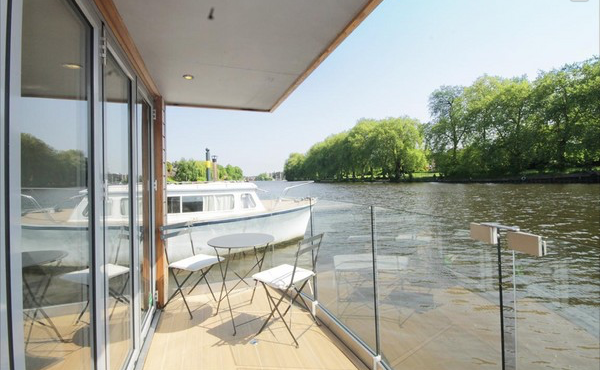 For houseboat 2 we found this fabulous mooring at Kingston for our clients. To protect neighbours views the main part of the home had to be designed with a maximum air draft of 2.3 metres. 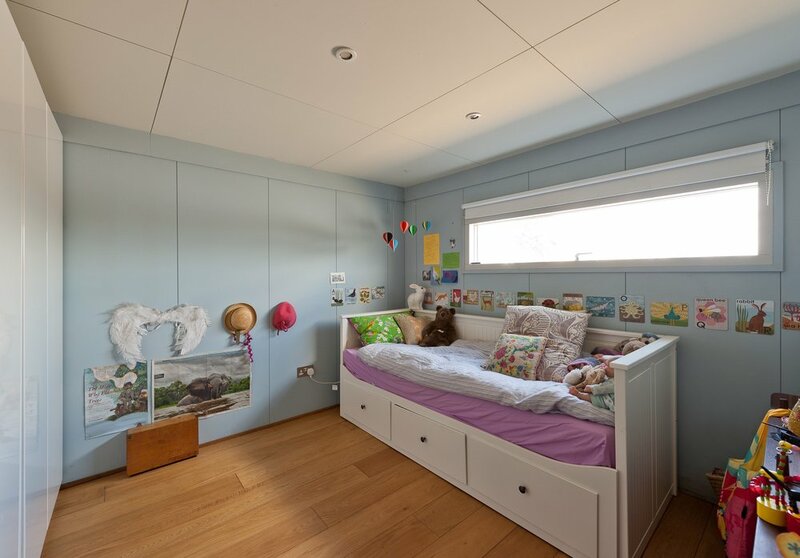 This beautiful 1 bedroom houseboat has been designed with many bespoke features including a superb cedar hot tub concealed under the rear deck.